Designing and Conducting Research in Health and Human Performance shows students how to become effective producers and consumers of health and human performance research. The book provides comprehensive coverage of both quantitative and qualitative research methods and includes step-by-step guidance for writing effective research proposals and theses. In addition, the authors show how to read, assess, interpret, and apply published research and how to conduct basic studies in health, physical education, exercise science, athletic training, and recreation. 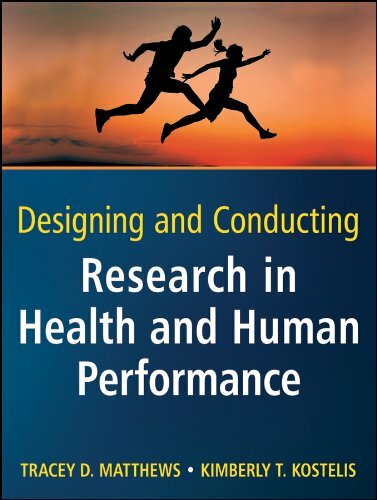 Designing and Conducting Research in Health and Human Performance is filled with illustrative examples that emphasize the real-world applications of research methods. Throughout, the authors draw on a variety of examples that were selected because they provide a context to further the understanding of health and human performance research. Research to Practice examples and Tips are included by the authors to help students better appreciate the book's content. These study aids provide suggestions and additional resources to assist students in understanding the research process. Key Terms, defined and highlighted, enrich each chapter. Chapter Review Questions, designed to help students comprehend and follow best practices in research methods, close each chapter. Online resources and guides developed by the authors to support and enhance students' learning of important research concepts are available. Tracey Dexter Matthews, DPE, is professor and department chair in the Exercise Science and Sports Studies Department at Springfield College, Springfield, Massachusetts. Kimberly T. Kostelis, DPE, is an associate professor in the Department of Physical Education and Human Performance at Central Connecticut State University, New Britain, Connecticut. Matthews, Tracey D., Kostelis, Kimberly T.